Jay & Viola Faubel started AAA Alarm & Lighting Service in 1958. They built the business to a point that in 1969, Jay quit his job at Smart & Final to pursue the alarm and commercial electrical business full time. In 1974, they bought property at 632 N. Ben Maddox Way, Visalia, CA, and moved the operation from their home. The mid 70's were full of changes. With an office facility, alarm monitoring was brought in-house requiring 24/7 manning. The natural expansion was into the security guard, patrol and alarm response services. Jay purchased many alarm companies and a fire equipment company at 5800 S. Union Ave, Bakersfield, CA, which opened the alarm and fire business into Kern County. 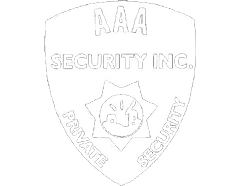 AAA Alarm Security was incorporated in 1978. A second corporation, AAA Alarm Systems was formed in 1986 to separate the security guards from the alarm & fire divisions. AAA Alarm Security was changed to AAA Security, Inc. In 1990, the company underwent a huge change. Jay sold off the alarm side of the business and went into the portable toilet and septic pumping business. AAA Alarm Systems became AAA Quality Services, Inc. 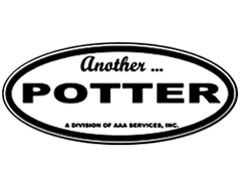 Starting with the acquisition of two local companies, Potter's Porta-Potties and D.E. Thomason Septic. The portable restroom division expanded 10 fold in less than 10 years. Jay bought his largest competitor, Acme Portable Toilets, in 1996 and expanded services by adding temporary fencing, storage containers, and self contained restroom trailers. Outgrowing the Ben Maddox location, property was purchased near Farmersville. In 1999, the portable restroom division moved to a new facility. The location was annexed into the city of Farmersville in 2000. Several smaller competitors were acquired over the years until 2003 when the largest competitor in the area, AAA Outhouse, was folded into the corporation and opened a branch office in Lemoore. Meanwhile, AAA Security acquired San Joaquin Security in 1987 opening a branch office in Porterville. 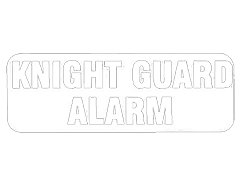 Knight Guard Security, Inc. was formed in 1996 with the purchase of that company bringing the family back into the alarm industry. Today, the three corporations employ over 150 people, operate over 80 vehicles, and contribute several million dollars into the community. © 2008 - 2018 | AAA Quality Services | hosted by Wireless internet services, inc.